Often I find myself in conversations about choices. There are those societal norms accepted by the majority (in one area or another) and there are choices. It’s often odd to me that there are these two categories, because to me, they’re all choices. Of course, there are times that there are things beyond our control (disease, discomfort, discrimination, commitments) and there are times that we have no choice but to deal with the hand we’re dealt. But those other ones, those accepted norms and atypical paths are all choices. Whether you own or rent property, if you’re in a city or a suburb, if you’re at home or abroad, if you spend life with a partner or without, if you add to your brood or not, if you have a pet or don’t, if you have cars or use pedal or foot power – whether society says they’re ‘the norm’ or not, they’re all choices. Travel is the same. For years I’ve had the ‘how do you afford it’ conversation. 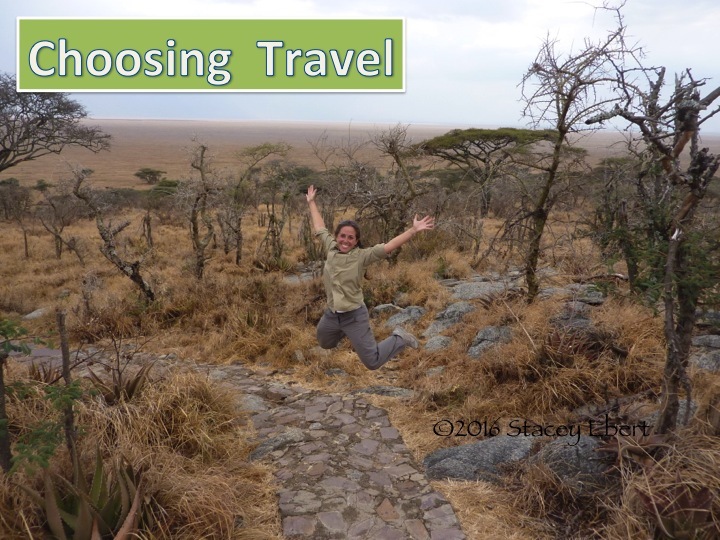 Mixed in amongst the ‘I have kids, so I can’t’, ‘you’re a teacher so it’s easy’, ‘you’re not married so you have extra cash’ and many like them, travel is the focus but the idea of choice is always in the background. When I first met my husband, he tried to explain the sport of cricket to me. The only thing in life I had to compare it to in my frame of reference was baseball, so I tried. After hours, weeks and even years of listening, you want to know when the first time understanding cricket made sense – when I STOPPED comparing it to baseball and saw it for what it was, cricket. Ending the judgment, comparison, reacting and more provided clarity and ability to see benefits where previously I couldn’t. Choice. Perhaps many of us don’t see travel as a choice, but rather so much more. Perhaps it’s a haven, solace, energy boost, vice, profession, dream or gut need and feels as natural as breathing, no matter what, it’s a choice. For me, it’s meant constant choices for years. When I got my first teaching job, I booked a holiday as soon as I knew my school breaks. I remember saying to my dad, if I had $1500 and you told me I could buy a couch or go away for a week, I would happily sit on the floor. It’s meant finding the courage to travel on your own when no one else wanted to go to the place you wanted at the time you had. It’s meant finding others who share your passion and want to choose a similar journey. It’s meant cooking and packing lunches to be able to indulge abroad. 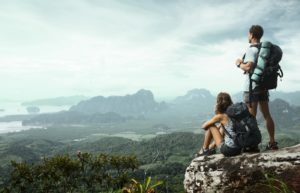 It’s meant saving money that could be spent on frivolous day to day fun (and finding other ways to enjoy) to know that there’s that adventure planning for the future. It’s meant missing parties or celebrations at the same time as being somewhere else. It’s meant finding ways to keep in touch when you’re out of sight. It’s meant an idea of work to travel and having that goal in mind when you do. It’s meant answering questions and feeling judgments when these decisions were not the norm. Wouldn’t life be boring if we all chose the same way? One friend chooses fruit on top of her frozen yoghurt while I choose cookie dough every time. My husband chooses carnivore fare while I choose vegetarian. A friend chooses to live with her partner without a marriage decree while another chooses life with that official document. A friend chooses to own a house in the suburbs while I choose a rental apartment in a city. One friend chose to move overseas and bring up her family abroad while another can’t imagine leaving the close proximity to hers. My sister chooses family life with a beautiful and healthy growing brood while (at the moment) I choose a child free one. Some of my former colleagues choose to enjoy life in their home state or country only while I choose to visit and live in places far and wide. No ONE is right or wrong. No ONE is better or worse. Although some are more socially accepted, ALL are choices. If you have the luxury of choice (which is not the position of everyone for every issue), choose what works for you and yours. Whether it’s comfort or risk, adventure or security, family or solitude, balance or busy, beach or city, rent or own, growth or constants, closed toed shoes or open, coffee or tea – choose for you. Choose what sets your heart on fire and your mind at ease. Choose what brings out your happy and provides that mental boost. Choose to dream big. For me, I choose travel.